Tiny Trax (2017), the tiny slot car racing game, is now out for PlayStation VR. 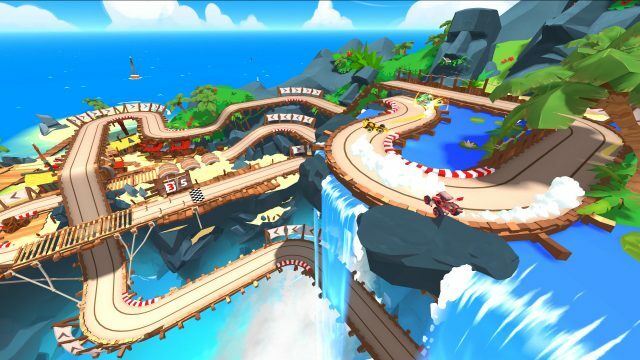 Created by Brighton-based studio FuturLab, Tiny Trax gives you the tiny HotWheels-sized cars from your childhood and lets you tear around and the room, do incredible jumps and drift around bends on a slot track otherwise impossible outside of VR. 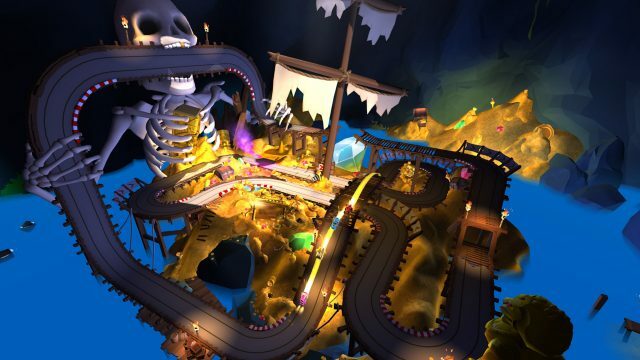 Scaled to mimic a child’s giant toy racing track, you can play 12 track across three environments; Tropical, Fire and Ice and Outer Space. Online multiplayer allows up to four players driving six different vehicles. 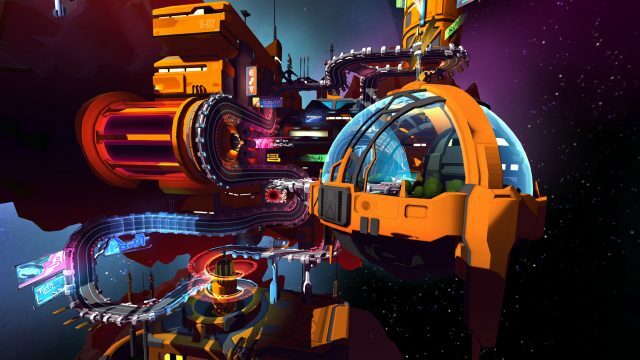 According to a PlayStation blogpost, development of the game was built around a primary goal of using VR to improve on an existing real-world seated experience, which led developer Dave Gabriel to the idea of slot-car racing in VR. Gabriel says Tiny Trax “ticked all the right boxes,” including no need to move from the seated position (no motion sickness), building impossible tracks in locales like the beach or on alien planets, and a track that didn’t have to obey the laws of gravity. 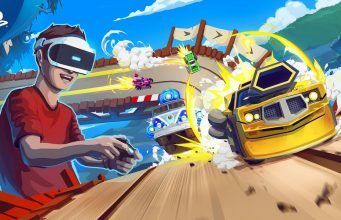 The post Arcade Slot Car Racer ‘Tiny Trax’ Launches on PlayStation VR appeared first on Road to VR.